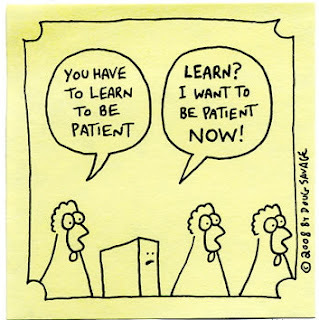 This Spanish phrase can be roughly translated into “travelling through/in patience”. In the book, Pope Francis explains that there are things about our lives which we cannot control; it is to come to terms with our limitations. Consequently, we allow time and other factors to “knead” (amasar) and “unfold” (desplegar) our lives. 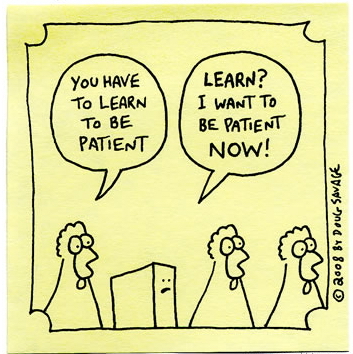 Since such a development does not happen overnight, this is where patience comes in. We need to come to terms with the fact that sometimes it is better to let things unfold and take its course. He also warns us about taking shortcuts (atajos) for the sake of immediate results, which is essentially the flip side of the coin of patience. Some may think that this is just another kind of secular worldview on life, and it certainly can be. I would interpret that Pope Francis has something else in mind: God is behind all these kneading and unfolding of our lives. This is not passively sitting back and not doing anything because God does everything; this is realizing that there are times when we need to, as St. Ignatius writes in The Spiritual Exercises (SE), “...permit the Creator to deal directly with the creature, and the creature directly with his Creator and Lord.” (SE 15) Such a realization takes us a long way. God’s time is different from our time. The temptation is to undiscerningly take everything by the horn and have things done my way on my timetable. We are not referring to simple logistical matters here. What is at stake is the more difficult stuff: the conversion of hearts, and the formation of persons. This is not a matter of efficiency. The Lord is not interested in churning out robots as soon and as many as possible; his interest is rather in our continual renewal, removing the heart of stone and give us a heart of flesh (Ez 36:26). We most certainly play a part in this, but we are not in charge. The way such a change and conversion develop and unfold do not follow our agendas; it is necessarily the Lord who mysteriously kneads and gives us this heart of flesh. This is a worthy point of reflection: how patient are we with the change and conversion of hearts? How comfortable are we in journeying with others in the brokenness and messiness of their lives while patiently allowing his grace to unfold, even though it may seem like nothing is happening at all? How willing are we in letting the Lord knead and form both me and you in his time? On the flip side of the coin, why do we sometimes want to see immediate results so badly? Can this be a misunderstanding of our Christian duties? This is similar to the parable of the sower (Mk 4:3-9). Sometimes we decide to go for short-term results and sow the seeds on stony grounds; but despite its immediate springing up, it has no roots and is subsequently scorched by the sun. There are also times when we need to patiently identify the stones, remove them, till the ground, add fertilizers and consistently water the soil so to provide the seeds a good environment to grow. At times we are responsible for this, but at times it is the Lord's. We can better understand this from seeing it in the Lord's perspective, through his patience for us. This is beautifully illustrated in Pope Francis' homily on Divine Mercy Sunday. He mentions how the resurrected Jesus is patient with the doubting Thomas. He waits and gives Thomas the time to “acknowledge his own poverty, his little faith”. Pope Francis says: “This is God’s way of doing things: he is not impatient like us, who often want everything all at once, even in our dealings with other people. God is patient with us because he loves us, and those who love are able to understand, to hope, to inspire confidence; they do not give up, they do not burn bridges, they are able to forgive.” This is the heart of the matter: God's patience is based on his love for us, and from this wellspring gushes forth his mercy. What about us? Just as we can be impatient with the doubting Thomases in our lives in their unbelief, we ourselves can also be doubting Thomases. Just as we need to allow the Lord to mysteriously “work on” Thomas, we also need to allow the Lord to “work on” us, to knead us closer to the image of his Son. The only way that our patience can be firmly rooted in love is to learn from the One who has shown us the Way to do it. To journey in patience, we must journey in love. I enjoyed this blog; keep it coming.